The team behind Jones Advisory Group is made up of qualified financial professionals who are passionate about helping individuals and families achieve their ideal retirements. 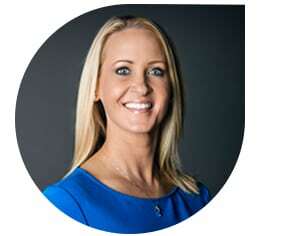 As the founder and president of Jones Advisory Group, Megan Jones is an Investment Adviser Representative and a licensed insurance producer in several states who works directly with clients in developing comprehensive financial strategies to help reduce taxes, increase income and preserve assets. 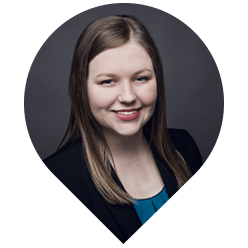 Megan has passed the Series 65 securities exam and graduated with a bachelor’s degree in accounting and a master’s degree in business administration from Washburn University. Before launching Jones Advisory Group, Megan spent 10 years in accounting/finance with one of the area’s leading companies, Hill’s Pet Nutrition. 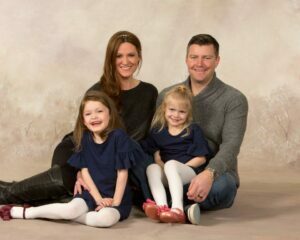 Born and raised in Topeka, Kansas, Megan lives there with her husband, Chris, and two beautiful daughters, Avery and Macey. Family and faith are of No. 1 importance to her and she considers her clients as part of her extended family. As the founder of Jones Advisory Group and an Investment Adviser Representative, Chris Jones is responsible for making sure existing and new clients feel like they are part of the JAG family. His No. 1 priority is making sure that all JAG clients receive the best service and personal attention. Chris has passed the Series 65 securities exam and graduated with a bachelor’s degree in finance and an MBA from Washburn University. Prior to Jones Advisory Group, Chris spent over 15 years in the financial services industry. After holding positions in accounting, investments, product development and distribution at Security Benefit, he moved to Advisors Excel, where he helped top financial advisors to grow their practice. 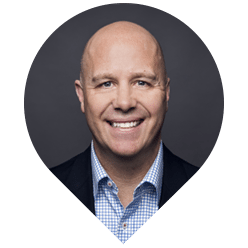 Over the five years Chris was at Advisors Excel, he was integral in helping the company grow from $100 million in sales to over $3 billion! 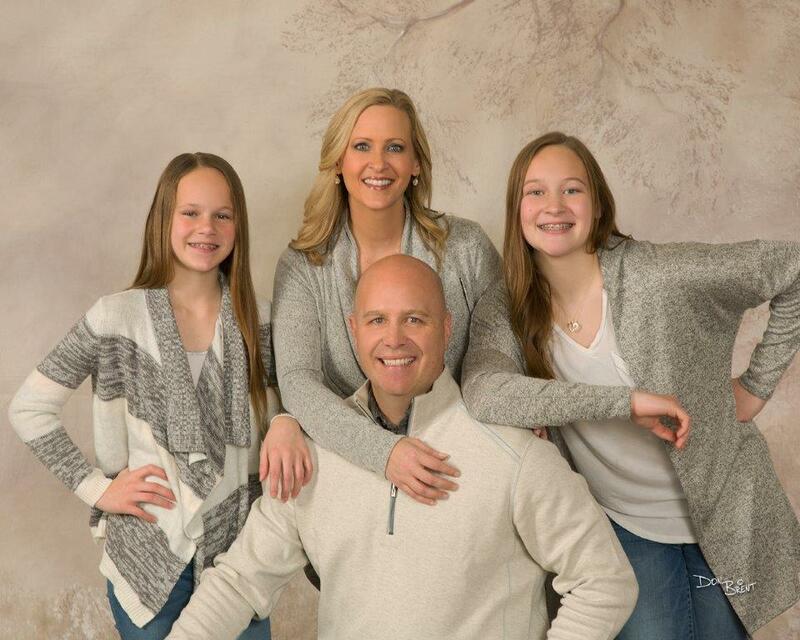 Chris was born and raised in Topeka, Kansas, and currently resides there with his beautiful wife, Megan, and two amazing daughters, Avery and Macey. He spends the majority of his free time having fun with his family as well as golf and running. He is very active in the Topeka community and supports many nonprofit organizations. As a financial professional and an Investment Adviser Representative, Craig Gordinier meets with clients of Jones Advisory Group in Overland Park, Kansas. Before joining the firm, Craig sold and implemented accounting and management software systems for Data-Basics as a senior systems engineer. Eight years later, he took over managing a well-known family-owned construction company, Masonry Contracting Company, in the Kansas City metropolitan area and remained in that position for six years. Craig has passed the Series 65 securities exam and graduated with a bachelor’s degree with an emphasis in finance and marketing. Born and raised in Topeka, Kansas, Craig is Megan’s twin brother. 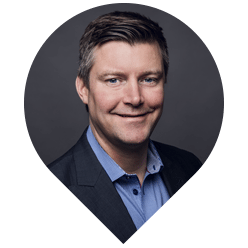 Craig currently resides in Kansas City, Missouri, with his lovely wife, Janette, and two adorable daughters, Hayden Marie and Brooklyn Harper. In his spare time, Craig enjoys spending quality time with his wife and daughters as well as keeping up with all local sports teams. 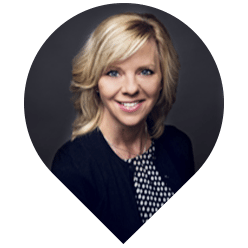 As the Director of Operations for Jones Advisory Group, Misty oversees all aspects of the business; from client service, processing of new accounts and transactions, as well as process implementation and management. Misty comes to us with 18 years working in the financial industry in a variety of roles. 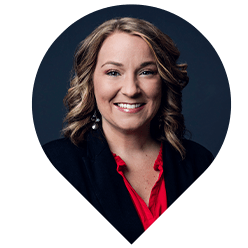 She received an associate degree in applied science from Washburn University and holds certification from Pinnacle Career Institute as a massage therapist. Misty resides in Topeka with her dog, Gus. 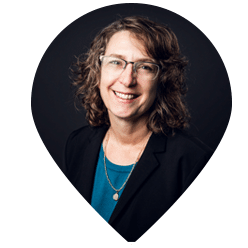 In her spare time, Misty enjoys staying busy by working with local nonprofits and spending time with friends and family. She can be contacted by phone at 785-215-6675 or by email at misty@jonesadvisory.net. As Investment Service Representative for Jones Advisory Group, Renee provides our new and existing clients with exceptional service for everything from opening new accounts, transferring funds, and requesting distributions. She processes all the paperwork needed to ensure efficient transactions and timely communications. Before joining Jones Advisory Group, Renee Brant worked as the Development Coordinator at the Kansas Historical Foundation and has eight years experience in the financial industry and over 12 years customer service experience. She graduated with a bachelor’s degree in Humanities with a minor in Anthropology from the University of Kansas. She was born and raised in Nevada, and moved to Kansas in 1996, falling in love with the history and beauty of the region. She and her husband have five children, five grandchildren, two dogs and love taking trips to visit family. Before joining Jones Advisory Group full-time, Paige worked for us as an intern. She graduated from Washburn University with a bachelor’s degree in finance. While at Washburn, she was also very involved in her sorority, Delta Gamma. Paige was born in Topeka, but was raised in Silver Lake, where she still resides. She enjoys spending time with her family and friends, traveling, and crafting. She can be contacted by phone at 785-215-6675 or by email at paige@jonesadvisory.net. As Receptionist for Jones Advisory Group, Nancy provides overall administrative support while helping to ensure an exceptional client experience. Nancy comes to Jones Advisory Group with more than 20 year’s experience in customer service and working with the public. She has her Aesthetic license and most recently worked at Customskin Med Spa in Topeka. Nancy was born and raised in Marion, KS. She now lives in Topeka. She and her husband, Jack, enjoy spending time with their families and attending KU basketball games. She can be contacted by phone at 785-215-6675 or by email at office@jonesadvisory.net. As the Director of Marketing for Jones Advisory Group, Abby will oversee the marketing aspect for the business. She will work closely with the President to organize seminars, trainings and client events. She will be creating branding items such as brochures, calendars and any other marketing touches that may needed for events or clients. Abby will help with providing input for the website and updating social media with valuable topics for customers. 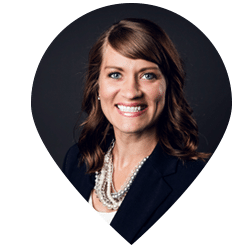 Abby moved to Topeka in 2004 to attend Washburn University, she received her bachelor’s degree in Business Administration with a minor in Marketing. Over the past 11 years Abby has held positions consisting of retail management/marketing, assisting with operations at a local health club and financial banking. Abby married her husband in 2013 and has two beautiful and energic children. In her free time when she is not hanging with her family she enjoys refurnishing furniture. She can be contacted by phone at 785-215-6675 or by email at abby@jonesadvisory.net. As the Client Service Manager for Jones Advisory Group, Kira provides our new and existing clients with exceptional service for everything from opening new accounts, transferring funds, and requesting distributions. She processes all the paperwork needed to ensure efficient transactions and timely communications. Kira comes with over 17 years of experience in the financial industry. The last three years have been spent honing her industry knowledge by assisting Advisors all over the country. Raised a military brat, Kira was born in Landstuhl, Germany and has lived numerous places throughout the United States until settling in Kansas in 1999. She resides in Topeka with her boyfriend, their children, and their two dogs. She spends her free time being the biggest fan on the sidelines at her children’s sporting events. Kira can be contacted by phone at 785-215-6675 or by email at kira@jonesadvisory.net. As a part of the Jones Advisory Group team, Josh consults with JAG’s extended family to help ensure their needs are being met and goals are being reached. 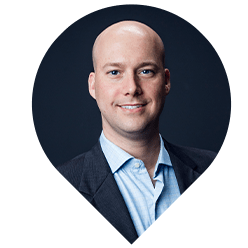 Before joining Jones Advisory Group, Josh spent over 10 years in the financial services and sales industry. He enjoyed working with great companies: Wachovia Global Securities Lending (Wells Fargo) as a Fund Accountant and BizRate.com as an analyst in Los Angeles, California. Ultimately, transitioning back to Topeka, Kansas in 2010 working with Security Benefit and then with Blue Cross and Blue Shield of Kansas in the Medicare supplement sales group. Josh is a proud recipient of a bachelor’s degree in Finance from Washburn University. Away from the business, he enjoys reading, fitness, competed in over 12 triathlons including the Kansas 70.3 Ironman and spending time with family and nurturing his 7-year-old princess Avery. Josh can be contacted by phone at 785-215-6675 or by email at josh@jonesadvisory.net. For more information about any of the products and services listed on our website, schedule a visit today or register to attend a seminar.